The Capitol building is as iconically “D.C.” as the White House and cherry blossoms. 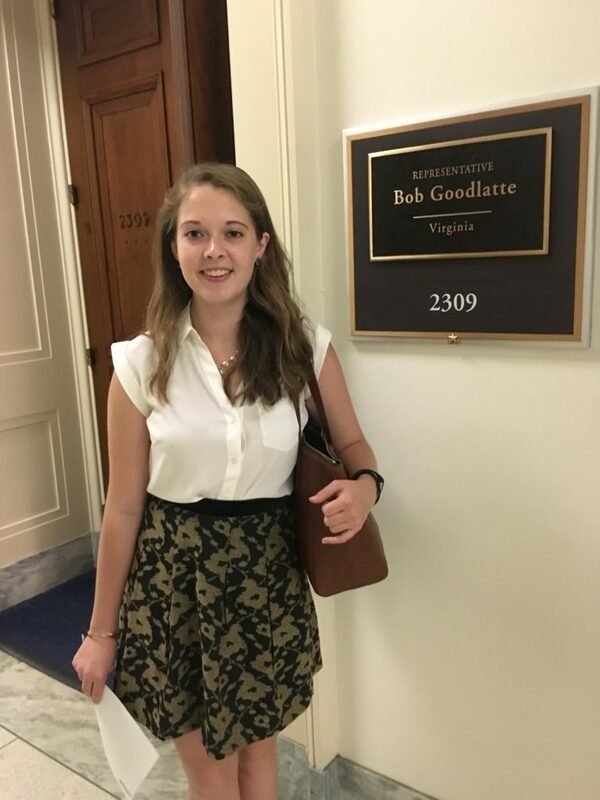 Before coming to Washington for this internship, I assumed that Congress worked in the Capitol just like the Supreme Court works in the Supreme Court Building. And yet like many facets of American government, the neat picture at the surface belies a far more complicated structure underneath. I suppose I just assumed that all senators and representatives went to work in the Capitol every day. Of course now I realize that with the number of staffers each member of Congress has, they need office buildings. So that’s how I came to learn about Longworth, Cannon, and Rayburn, but my confusion was hardly cleared up after that. The numbering system does not seem particularly intuitive. I’m not sure how it was decided which building would be designated 1, 2, or 3, but I would have guessed it’d be oldest-newest. I think the way Dirksen (one of three Senate buildings) does it seems fairly logical, giving room numbers as SD-G50 or SD-123 and so on. Simply getting around the House and Senate buildings seems to be easiest when you’re an insider, when you already know where you’re going. It doesn’t do much to alleviate the impression that navigating the federal government is too difficult for the average citizen. Similarly, it is surprisingly difficult to figure out which entrance one can go in. I felt like I was walking around the building just trying to get inside. But once I did, there were some pleasant surprises. First, there was a woman in front of me (she looked like a staffer) who had her terrier on a leash. I was really interested to see how they were going to get through security, but it was somewhat anti-climactic: she just walked through, pulling on the dog’s leash to get her to pay attention. Additionally, everyone working security is very friendly. Maybe their colleagues working for the TSA have given security officers a bad name, but everyone has been very friendly and patient. Once you’re inside (hopefully in the right building), the elevators present new challenges. They’re fairly small, so sometimes you have to squeeze in tight while a tour group crowds in around you. And don’t expect the tour guide to stop recounting the history of the building, but do be aware that his voice will reverberate in the tiny elevator. There are also a few elevators you, the average citizen or bright-eyed intern, can’t go inside. They could be freight elevators inexplicably placed in a regular looking hallway with signs that people cannot get in them or elevators reserved for Members of Congress, which I suppose is convenient. Perhaps this is just because I started while Congress is on recess, but I’ve been entertained by the ratio of members of Congress to staffers, visitors, and best of all, interns. There are swarms of interns everywhere, young men in their navy suits moving in packs and college women holding their bosses’ spot in line. 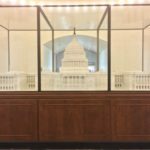 And while there are limitless interns, there were a few things I felt the House and Senate office buildings were missing. First, to those who must work in Dirksen day in and day out, I apologize. I hope y’all get windows soon because the lack of natural lighting in there seems horrible. If I hadn’t searched high and low for an elevator fit for humans (but not too fancy as to be reserved for special humans), I’d have thought I was still stuck in the labyrinth of tunnels beneath the buildings. There are also a few places without air conditioning. These buildings do a wonderful job of staying cool for the most part, but in the rare instances that you walk into bathroom or elevator that has been left au naturale in the face of all the heat and humidity Washington has to offer, it’s noticeable. Unfortunately, one huge problem I noticed was the lack of women’s restrooms. 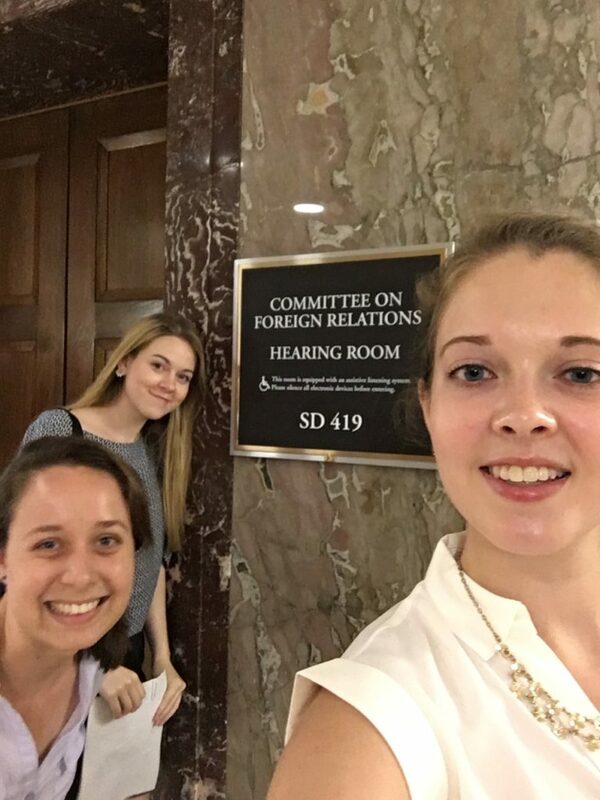 Female senators and POPVOX interns alike have remarked upon how difficult it can be to get to a bathroom. Where a men’s room is conveniently in an alcove in the middle of a hall, women will need to walk halfway around the building to access a restroom or walk down a floor hoping that one might be there. While I believe that my adventures around the office buildings have certainly cleared up a lot of confusion, one thing I remained confused about was the black flags outside of some legislator’s office doors. Everyone has the US flag and their state flag, but a sizeable number of members of Congress have a black flag with white text on it. I felt like I maybe should not be unfurling flags outside of Kirsten Gillibrand’s office, so I resolved to google it when I got home. Turns out, the flag is the POW/MIA flag originally displayed by families of soldiers missing in action or taken prisoner during the Vietnam War. It generally indicates support for members of the armed services who are MIA or who are POWs, so I am curious still why some members of Congress display the flags while others do not. All in all, my first few days on the Hill answered quite a few questions but also created a few more. Should I make sure to take a few days’ supply of food and water every time I go down into the tunnels? Why does the sub-basement come before the basement on the elevator panel, and while we’re on the subject, what does it do anyways? What happens if I get on the wrong elevators? Where is the nearest bathroom? May I ask to pet the random dogs of Congress, or should I assume they’re busy serving their constituents? I have nine more weeks to answer these questions, and as long as I don’t succumb to heat stroke in the meantime, I hope to do just that.